The Big Guy and I have an ongoing debate regarding the superiority of dogs over cats. He is one of those who has been duped into believing cats are better than dogs. (I know kind of hard to believe from a guy who’s school mascot is a beautiful collie.) 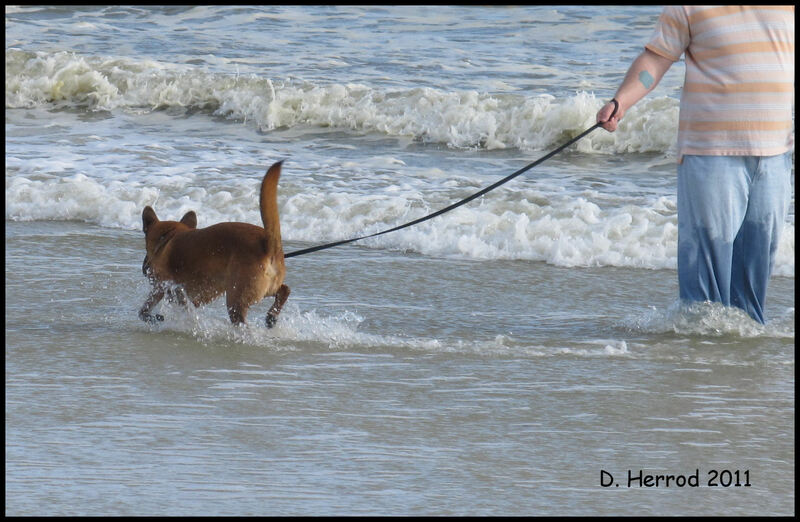 Anyway we were walking on the beach and saw several dogs with their people playing in the water. He commented that a cat would never do that or be found on a leash. His reasoning was that cats are too smart and independent to walk on a leash. I commented that because they weren’t willing to walk on a leash cats are restricted to a small domain, while dogs could explore a big world. He explained that cats are the rulers of their domain (a rather small domain) and are too independent to conform to an owner. A dog’s willingness to be trained and led opens the door to exploration and adventure of a huge world. A dog knows that someone else is in charge. A dog also knows that his/her human will provide all of the necessities and more. A dog will be able to spend quality time on adventures with his/her human. We had a dog Polly who would get so excited every time the word leash was even spelled. She knew that the leash meant going somewhere with her humans. Polly loved spending time with her humans. She so desired spending time with her human that in the mornings she would eagerly wait outside my door for my mom to say it was time to wake the little human up and start the day. As humans we are often like that with God. God wants us to be a dog. Willing to submit personal freedom to Him. Yearning for quality time with Him. So many times we are more like a cat and want to rule our little domain and spend time with Him only when it suits us. Like cats we fail to realize that surrendering personal freedom and time will open the door to great adventures. Are you a dog or a cat?